4 Channel link cable. Allows two scopes to be linked together to give 4 analog and 16 digital channels. Requires the four channel software to be installed. 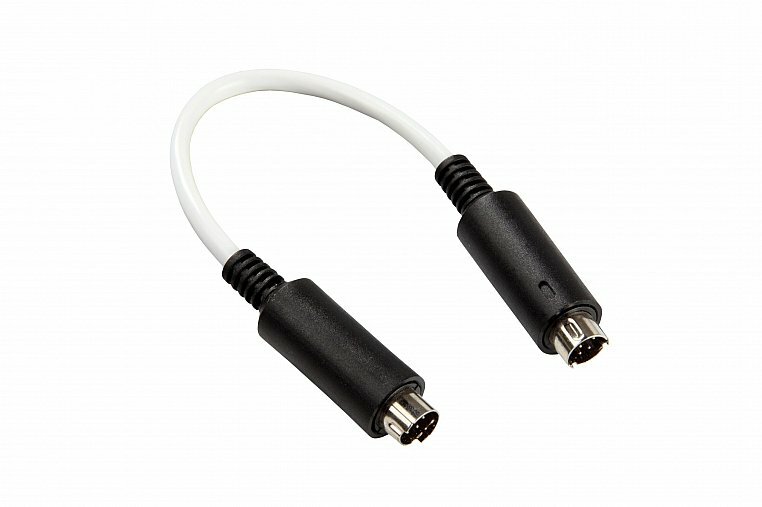 A short cable to connect two Cleverscopes together via the DIG I/O ports. It allows the trigger from one unit to trigger the channels of the other. It does not matter which way round it is used.